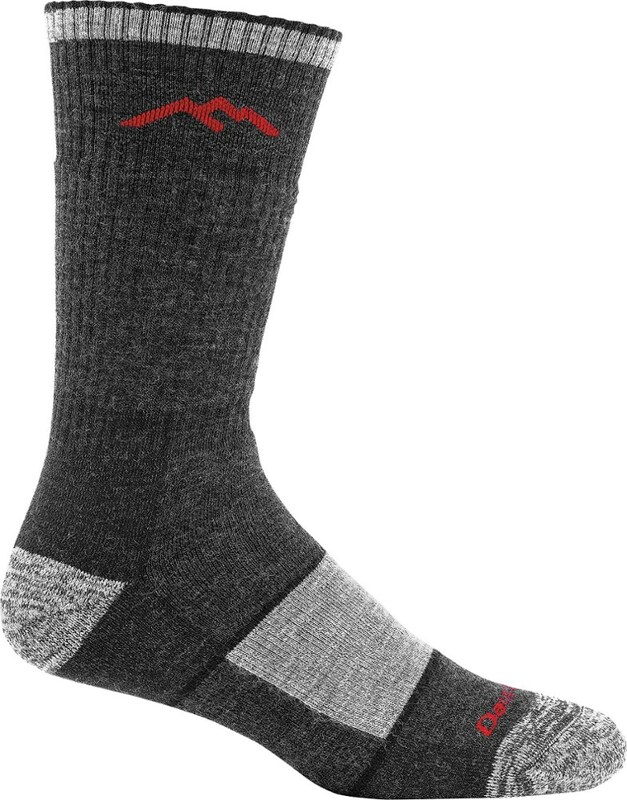 As the name implies, the sock fits. Perfectly. Like a glove. Most comfortable sock I've ever worn. The Search. As I was outfitting myself for my climb up Mount Rainier this past September, the one area where I didn't want to skimp was my feet. 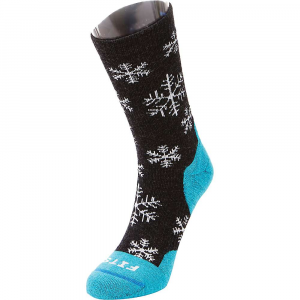 I knew I needed socks so I looked around at many of the major brands like smartwool, etc. These Fits were recommended by the salesperson at Uncle Dan's in Highland Park. The packaging looked unusual because the second sock is stuffed inside the first. What I learned later is that the form factor of this sock is so perfect that it fits one inside the other. The Fit. The first time I put these sock on, I was amazed. 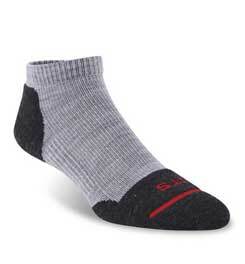 If you've ever worn cashmere socks, that is how soft these are! The fit is absolutely perfect. I wear a size 11 shoe and the toe box is always a little cluttered with seams that just don't quite sit flat across my toes. 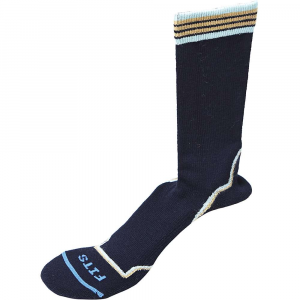 The Fits socks fit smooth and sung without feeling tight. Even better, the heel fits snugly and comfortably. In Use. 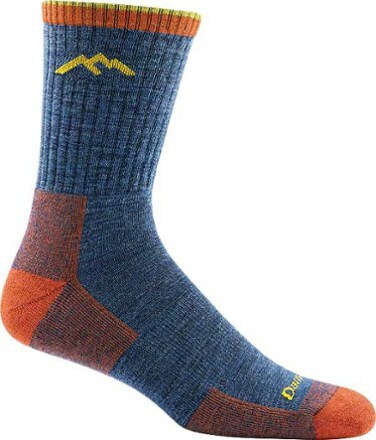 I wore a single pair of sock (no liners) on my climb. My feet sweat a LOT. Amazingly, I had NO blisters! The socks wicked well. My feet were comfortable and warm. I brought three pairs and rotated in between hikes. 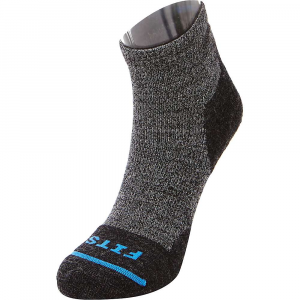 They are described as having medium cushion of Merino Wool. I found that there was good support of the whole foot, ankle, and lower calf. 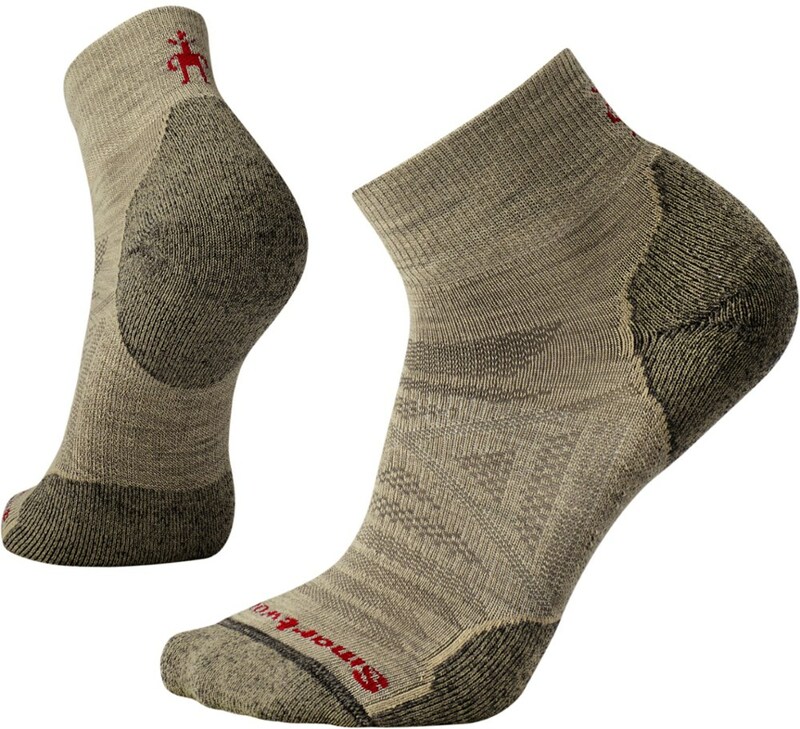 I liked these socks o much they have become my everyday socks, replacing every pair of white cotton-blend sport crew socks I used to own. They seem to be holding up well to frequent wear and washing. Nice review, Dave. Thanks for sharing it. I've also been impressed by my FITS socks.